Black Sheep Coffee is always on the grind to bring its customers a coffee place experience that transcends the conventional. 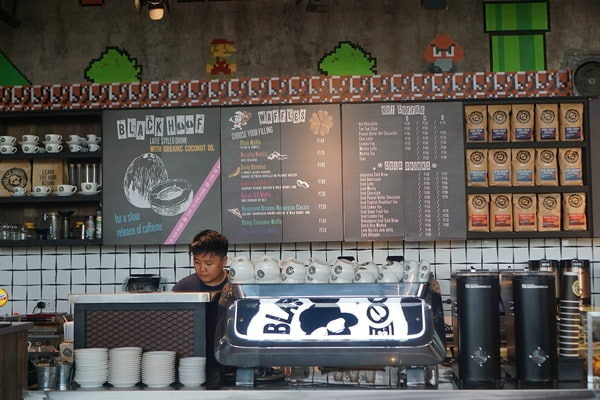 With about 35 shops in different parts of London, Manchester, and with one in Manila, Black Sheep Coffee lives up to its name by venturing the path untaken by the herd of commercialized cafés. That’s why they are proud to ‘leave the herd behind’ and make way for the extraordinary, from the fix of their coffee to the coolness of their place. And take this, not only is Black Sheep a cozy pen for your morning or afternoon coffee but the shop also transitions into a late-night spot complete with coffee-inspired cocktails and specialty liquors – perfect for relaxation after a day’s hard work. A welcoming sight along Seaside Boulevard, the Black Sheep’s interior is spacious as well as artistic in its western urban design, with walls bearing unique graffiti artworks and a popcorn machine sitting at the middle of the room. 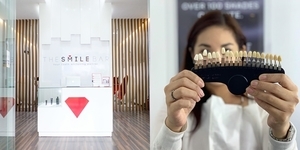 It can cater up to 75 customers without looking too crowded thanks to its high ceilings and clear glass walls on one corner that lets the room breathe well for its customers. The branch also plays a centralized music playlist all the way from the UK so it never strays far from the same feel offered by its revered black sheep brothers overseas. 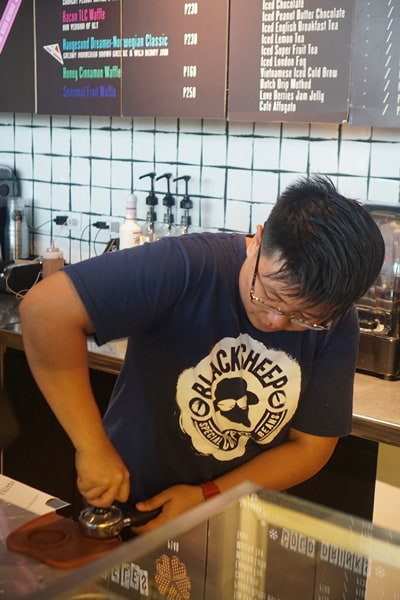 Instead of a stiff servitude of staff, Black Sheep Coffee makes it a point to let crew members express themselves freely but still in a professional manner. It greatly separates Black Sheep to the other big coffee places in keeping the light mood around the room. Trained by principals from London, these same staff members are more than just friendly faces because they know what good coffee is about and it is their task to give customers the brewed beverages that they deserve. 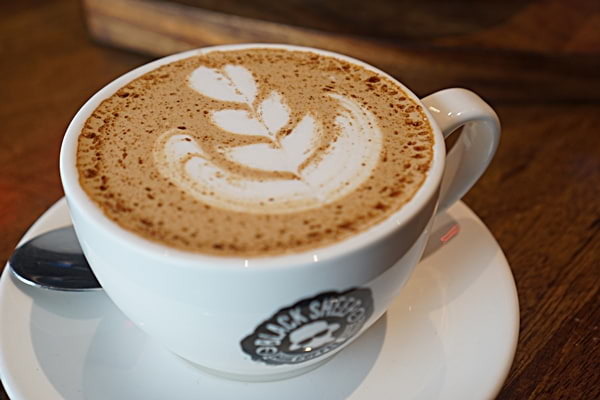 Black Sheep skips the rules to bring the perfect coffee fix for everyone. While they serve their coffee on a tried and tested perfect temperature of 67°, you can always ask for an Extra Hot or Super Extra Hot cup of coffee whichever the way you want it. They are also serious with their beans, brewing only the finest from different parts of the world. The Robusta Revival from India offers a double kick of caffeine on a buttery but strongly flavored cup of joe. The Swiss Decaf from Cajmarca, Peru is a Malt Swiss Decaf prepared using the Swiss Water method that produces a smooth-silky and milky-chocolatey cup with all the flavors of caffeine but zero kick of coffee. Love Berries from Yirgacheffe, Ethiopia brings together coffee beans and the subtle hints of blueberries, strawberries, and apples, producing a light and freshly brewed filter coffee. Lastly are the 100% Arabica beans of the Blue Volcano, sourced from the mountains beneath the volcanoes of Papua New Guinea, these beans make up for a perfectly balanced espresso. They also offer a variety of milk alternatives for your coffee: Almond, Hazelnut, Coconut, and Soya milk all for a dairy-free drink. 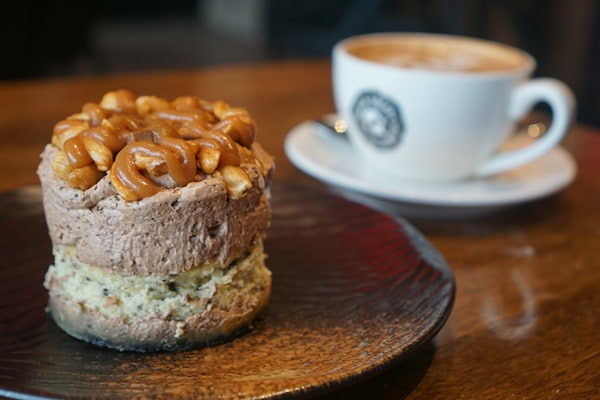 Here's a rundown of some of the coffee, cocktails, and food they offer at the Black Sheep Coffee set to complete your mornings, afternoons, and evenings. Their bestselling Black Hoof (P190-P220) coffee is a modern take on the "bulletproof coffee." 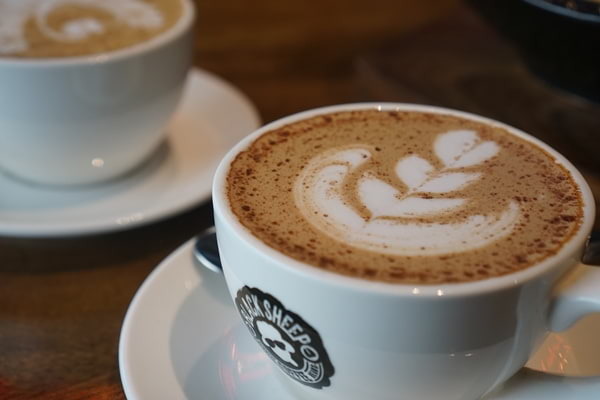 It combines the double-kick of Robusta Revival with organic coconut oil and a dash of cinnamon for a luscious latte-style drink complete with delightful latte art on its froth. The London Fog (P120-P160) from their non-coffee menu is a pure milk tea drink minus the strong sweeteners of its commercialized counterparts. The tea is poured into the cup before the milk for that layered effect, giving the customers the royalty to have a mix on their milk tea. 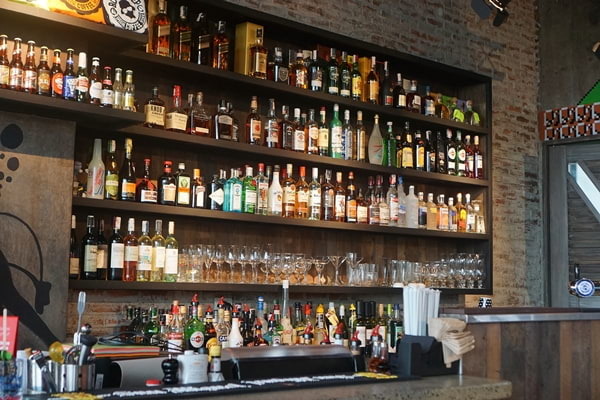 Black Sheep Coffee is also known for its Craft Beer and Forgotten Cocktails, which brings back the classic mixture of cocktails using their premium brands of liquor. 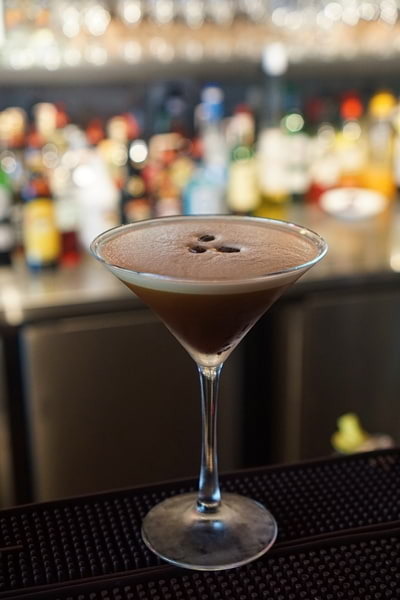 The Espresso Martini (P300) is Black Sheep's version of Irish coffee using their very own beans. 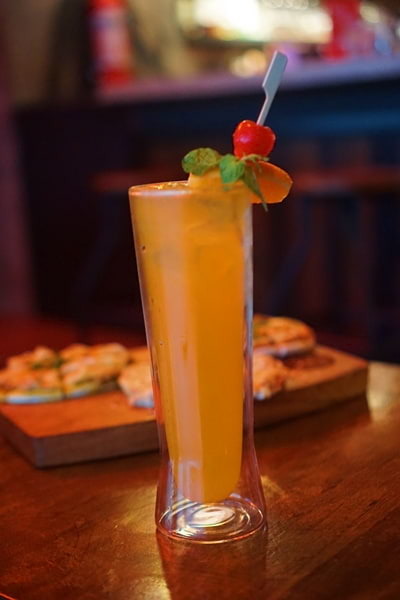 See You Tomorrow (P330) is a mix of 7 Spirits on a glass, it is Black Sheep's strongest cocktail yet. 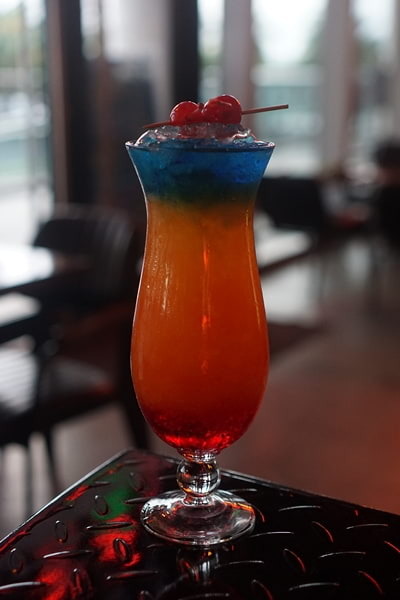 The colorful Summer Paradise (P330) is a rainbow layered cocktail made with Bernardin, orange juice, pineapple juice, coconut rum, white rum, and blue curaçao. It is both charming to the taste and the eyes. 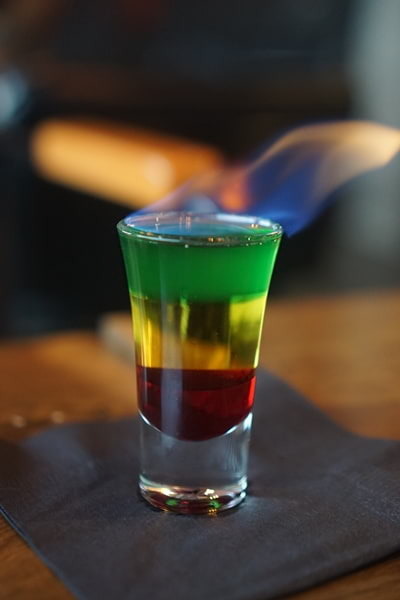 The Rastafarian Flaming Shot (P240) is Black Sheep's version of the Bob Marley flaming shots. It is always a spectacle to have on the table and a thrill to take the shot. 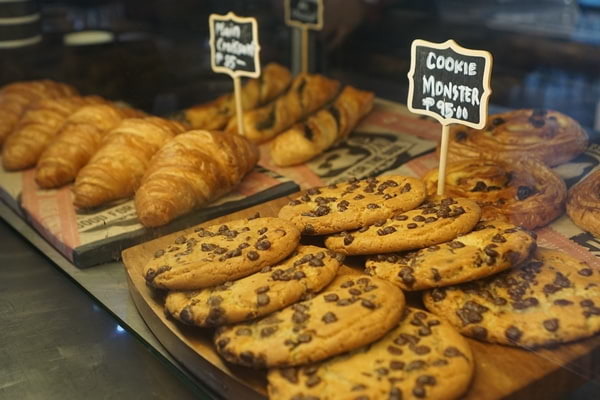 Cookies, croissants, and cakes line up their pastry menu. The Snickers Supreme (P230) is basically a Snickers bar turned into a delectable cake dessert. Their waffles remain loyal with its ideal texture: crisp but unbreaking when folded. 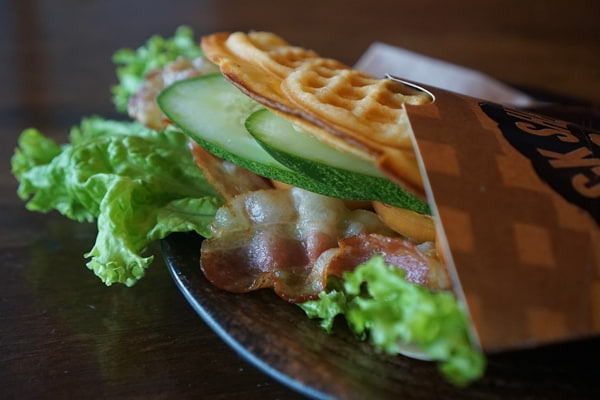 Their Bacon TLC Waffle (P230) is Black Sheep's BLT waffle exclusive to its Manila franchise. 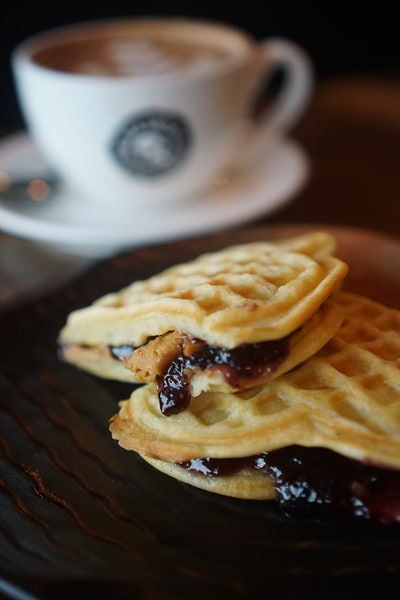 Meanwhile, the Haugesund Dreamer-Norwegian Classic (P230) combines the creamy Norwegian brown cheese with wild berry jam for a sweet-salty combination of waffle filling. Perfect pairs for their craft beer are the Black Sheep Pizza Board (P590) and Black Sheep Wings (390). 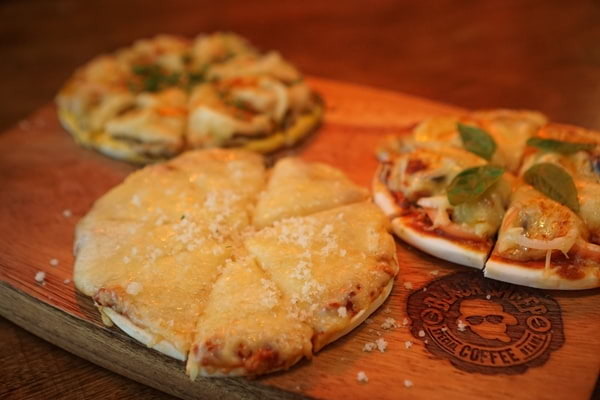 You can munch on bite-sized slices from three mini-pizzas, each topped with different premium ingredients: the 5 Cheese (a fusion of Brie, Grana Padana, Mozzarella, Parmesan, and Cheddar cheese), Sriracha Pesto Chicken Teriyaki, and Prosciutto Veggie. 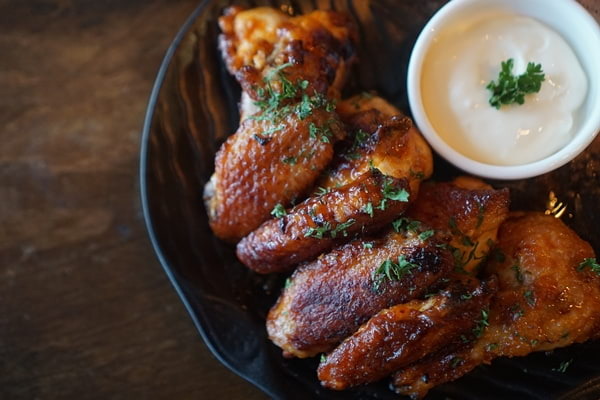 The Black Sheep Wings offers savory and tender chicken wings with mild and spicier variations, partnered with a creamy garlic mayo dip. We were also lucky to have a first try at their upcoming vegan dishes prepared by their chef consultant Chef Rob Pengson. 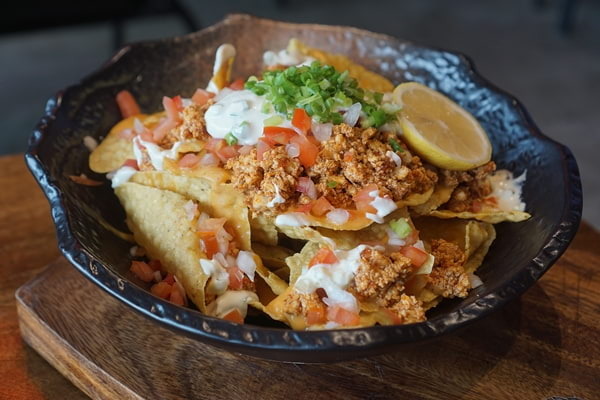 Their Vegetarian Nachos (P260) are topped with a smoky 'Mexican tofu chili' along with their in-house sour cream and salsa for a guilt-free snack. 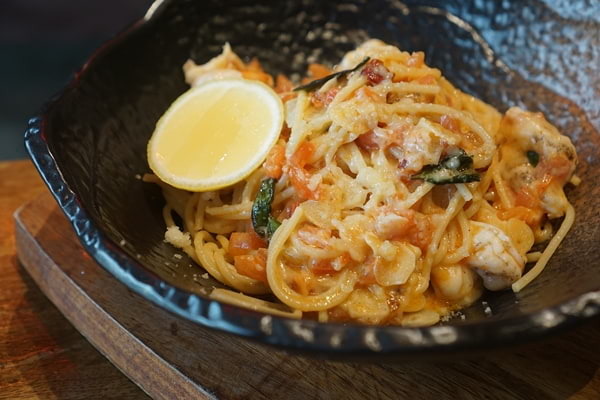 The Shrimp and Tomato Aglio E Olio with Lemon Mix (P365) is yet another meal for your healthier and lighter living. 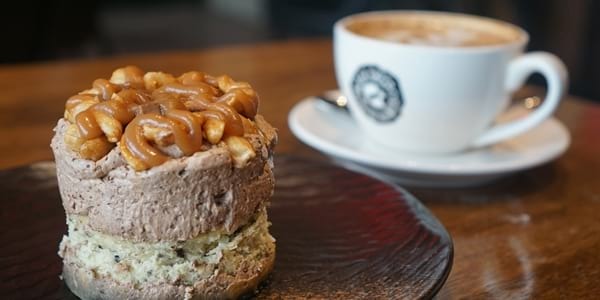 Black Sheep Coffee caters to everyone, whether you're alone, with a date, friends or with family. The popcorn machine starts popping on 5PM, beckoning the children to watch. Buckets of popcorn for everyone are also on the house. There are also Comedy Nights every month featuring wholesome comedians whose jokes the whole family can enjoy. Every Saturday night, street magicians impress everyone with their neat illusions and tricks. So are you contented with your usual coffee place? Or do you dare rebel from such typicality? You need not to look far for an awesome alternative then. 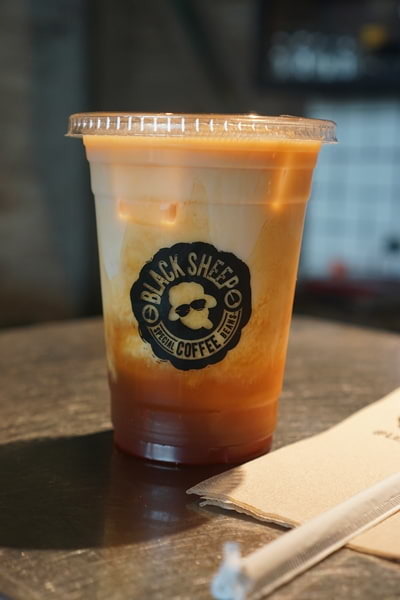 Check out Black Sheep Coffee now and leave the herd behind! Located at the Ground Flr. 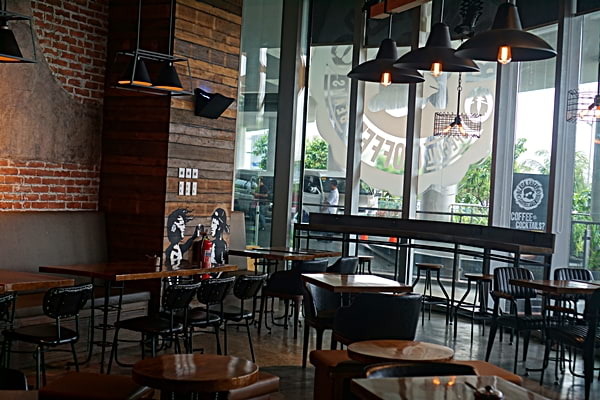 of Conrad S Maison, SM Mall of Asia Complex, Black Sheep Coffee is open from 7AM until 12 AM on Sundays to Thursdays and until 2AM every Fridays and Saturdays. For inquiries, call +632 251 1285 or +63 917 547 4337. 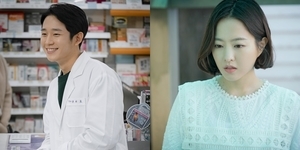 You can also follow their Instagram and Facebook pages.